A contest sponsored by the Graphic Arts Education and Research Foundation (GAERF) is out to teach students in graphic design classes how to sell themselves to potential employers in the future. 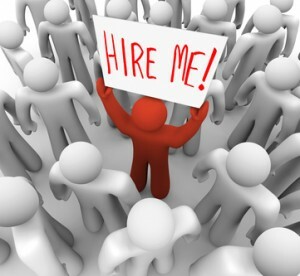 The “Why Hire Me?” contest is open for submission from graphic design instructors on behalf of students until June 15th, with prizes including up to $2,000 and a trip to the GRAPH EXPO 2012 in Chicago. This is the fourth annual contest hosted by GAERF for student works. The contest is open to secondary and post secondary graphic design schools. Secondary graphic design instructors may submit up to 5 student campaigns, but post-secondary school teachers may submit an unlimited number of student designs for consideration in the contest. The challenge of the Why Hire Me contest is to create a self-promoting marketing campaign that the student believes will put them a step-ahead of other professional competitors in the job market. To accomplish this task, however, student must consider which type of graphic design discipline they most desire to pursue. Graphic designs students can choose from a wide array of career paths upon graduation in disciplines including art and design, science, and technology, communications, and business. Within each discipline, the student must further differentiate his or herself by choosing a specific job title, with options like web page designs, multimedia designer, cartoonists, package designers, pre-media specialist, production manager, editor, and many more. One first place contest winner will be chosen from a post-secondary graphic design school and one from a secondary school before the GRAPH EXPO in October, along with a second and third place per type of school. First place prize for contestants, in addition to the all-expenses paid trip to the expo, is $2,000. Second place will be awarded $1,500 and third place will win $1,000. GAERF is hosting its fourth annual contest for graphic design school students through June 15th….